Pursuant to the Resolution of the UDP National Congress of December 2018, the United Democratic Party has formally established the Ebrima Solo Sandeng Memorial Lecture as a Party wide activity. The Memorial Lecture will be delivered this year by the Hon. Seedia Jatta, National Assembly Member, Wulli West. As the third anniversary of the death of Ebrima Solo Sandeng approaches the United Democratic Party renews its call for a Declaration of a Martyr’s Dayin honour of and respect for all the Martyrs of the Gambia. UDP firmly believes that three days in April 2016 changed the course of history in the Gambia. The United Democratic Party then the largest opposition party in the country was dealt a devastating blow by the Jammeh dictatorship. On 14th April 2016, Ebrima Solo Sandeng UDP Youth Leader and other members of the Party went out peacefully to demandfor electoral reforms. Solo and his colleagues were suddenly in broad day light brutally attacked, arrested and taken to the NIA Office in Banjul, thereafter Solo was severely tortured and killed by agents of the State. On the 15th of April 2016 when the rumors of Solo’s death broke out, the UDP Executive Committee quickly convened a meeting at the Party Leader’s home at Kairaba Avenue. The meeting unanimously resolved to demand for ‘Solo Sandeng’s body DEAD or ALIVE’! 16th April 2016 proved to be a fateful day in the political history of the Gambia because on that day the senior cadre of the UDP led by the Party Leader and Secretary General Hon. 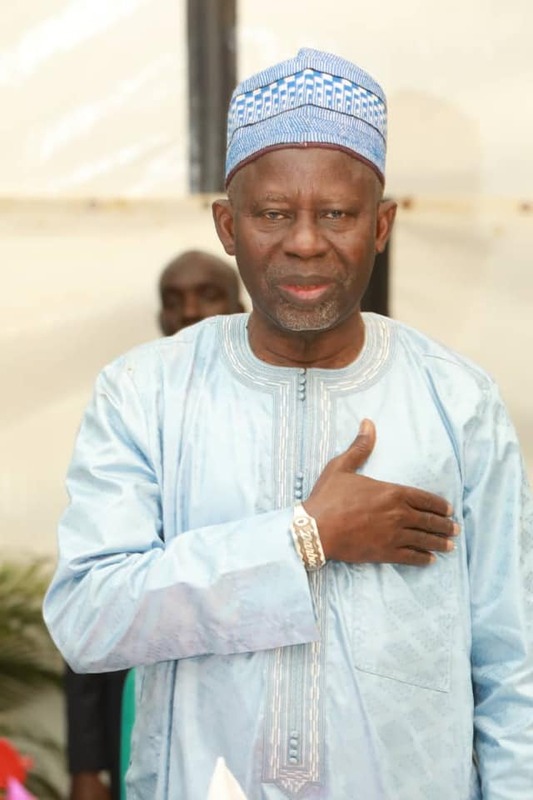 Ousainou ANM Darboe were attacked and arrested by security uniformed men. Now Read This: His Excellency, President Adama Barrow maintains that for Gambia to be successful in rice cultivation, self-sufficient in the production of the stale food, the country must learn from the People’s Republic of China. And following a sham trial before a Jammeh appointed judge and Court, the senior leadership of the UDP including the Party Leader were convicted and sentenced to varying prison terms. The conviction was upheld by the Appeals Court. It was plain as day what Jammeh’s plans and intentions were: kill or maim prominent members of the UDP to intimidate the rest of the Party stalwarts and or coerced them into submission. If that did not work incarcerate the Party Leaders and let the mass members of the Party be without their known Leaders. Both strategies of Jammeh failed because the people were determined to rid the nation of his brutal dictatorship. It was against this grim background that efforts to form a coalition was started by the main political parties to present a united front against the Jammeh dictatorship and was consummated with the election of Adama Barrow as the flag bearer for Coalition 2016 who was at that time the UDP Flag-bearer. Since then a cacophony of voices claiming to speak for the people extol their own sacrifices and contributions to bring change to the Gambia. Several individuals and political formations/parties have mushroomed in the past two years promoting all sorts of narratives. As a Party the UDP believes that political legitimacy in a democratic state can only be bestowed by the People, supreme power resides in the people, in this regard, the UDP has noted with gratitude that the debate as to which Political Party is the largest in the Gambia was conclusively and decisively settled by the National Assembly Elections held in April 2017 and the Local and Municipal Elections of May 2018. The UDP emerged as the largest party with a majority of the Seats in the National Assembly. However this clear mandate that the UDP has received from the people across the country is now being misconstrued by mischief makers to mean something else. Hence the competing narratives jostling to take centre in our efforts to build a prosperous and unified Gambia. Notwithstanding the above every attempt is being made to deligitimise the hard won majority of the UDP and to minimise or out rightly undermine the sacrifices made by the UDP under the distinguished leadership of lawyer Ousainou Darboe who has been resolute and principled for more than two decades at great personal cost. As a Party the UDP firmly believes that the Gambia belongs to all its people and the future of our country is our collective future. Making it work is our collective responsibility. All Gambians seek a better future for themselves and their children. Therefore as a nation the UDP wish to advocate for the need to strengthen a narrative that will foster a united national front and an inclusive development agenda for the country to create wealth and to eliminate poverty by uniting our people. A narrative that will unite the progressive forces both at home and in the diaspora to unleash the energies of our citizens, grow an inclusive green economy, build capabilities, enhance the capability of the state and our leaders to deliver development. And transform the capabilities of our people so that they can live the lives that they desire; and to develop the capabilities of the country so that we can grow faster, draw more people into work and raise living standards for all. A narrative that requires action, change and sacrifice from all sectors of society. A narrative that will honor the memory of all those who were compel to make the ultimate sacrifice of giving their lives for the Gambia to be freed of the Jammeh dictatorship. Finally the UDP believes that declaring a martyr’s day will help our nation reclaim the healing narrative by reminding the people of the long years of struggle and the priceless sacrifice of so many of our compatriots that brought our nation to the triumph of 1st of December 2016 when the UDP Leaders were languishing in Jail. Omar al-Bashir came to power in Sudan in 1989, when he lead a coup against then Prime Minister Sadiq al-Mahdi. Bashir dissolved the government, political parties and trade unions, and declared himself chairman of the Revolutionary Command Council. Breaking News:President Barrow’s Bus Ran Out of the Road!